Last week, I was digging through some of my old posts on a blog that no longer exists and I stumbled upon one of my favorite crafts ever! So, in order to revive this lost project, I thought I’d repost it for you all to enjoy. Years ago, I found the idea for this little diddy on design*sponge, but edited it for my creative (and, let’s face it, lazy) purposes. Check out the easy step-by-step and do come up with a variation of your own. 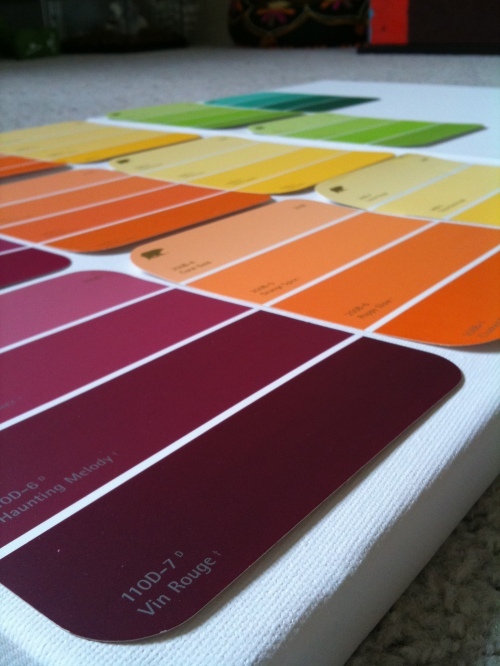 Depending on the colors you choose, this little piece could go in any room of the house! 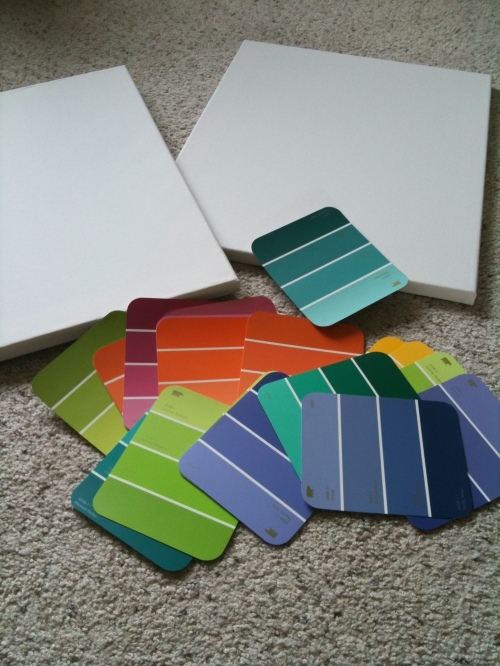 Layout all of your paint samples in the formation you’d like them to be in when you’re finished. 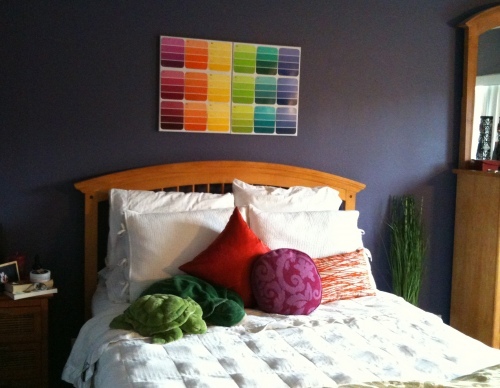 Lay your row of paint samples out and gently press them onto the prepared canvas. 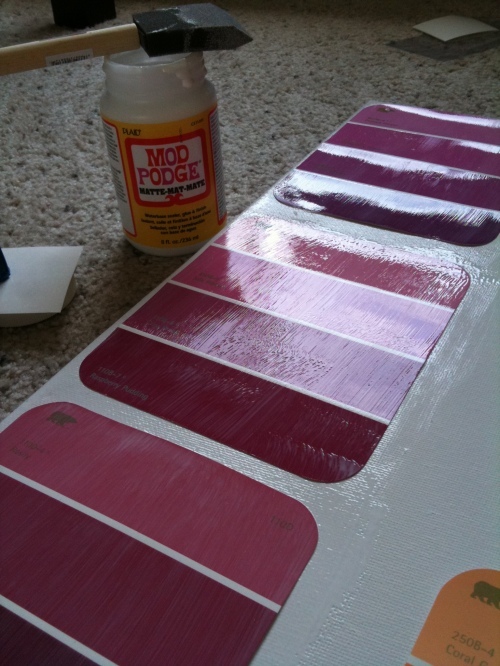 Brush on another layer of Mod Podge, going over the paint samples and spaces between them. Repeat steps 2-4 until you’re done! Hang the finished canvas(es) where ever your heart desires!